États et intervalles, interactive installation, 2002. 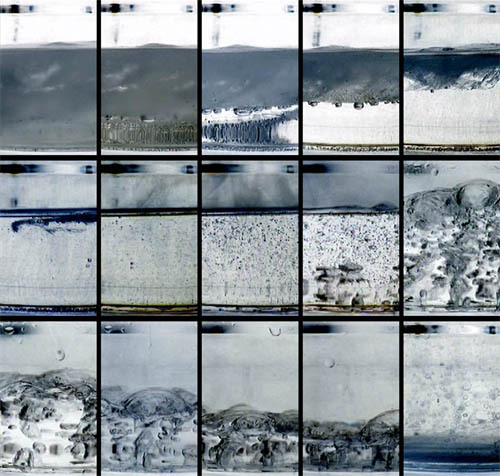 The position and movements of the viewer affects an image presenting water in its different states and participates to the construction of the sound environment. 4 x 5 à 7 exhibition of the Interstices research-creation group at Dare-Dare, February 2003. 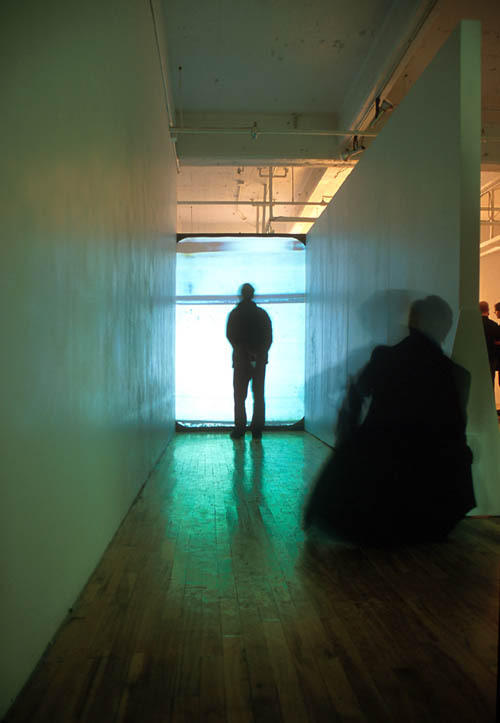 States and Intervals, interactive installation, 2002.